By now, you may have heard that Elon Musk, through his Boring Company, is now in the flamethrower business. The Boring Company was originally formed to build underground tunnels in order to ease traffic congestion, so it isn’t exactly clear why they’ve set out to sell flamethrowers. But that is beside the point. Some have theorized on Twitter that Musk is in fact secretly working on creating a zombie apocalypse in order to drive flamethrower sales. His Twitter bio currently reads “Zombie Defender,” but it is unclear at this time whether that means he actual defends zombies or defends against them. He has not yet responded to my request for clarity. Regardless, the flamethrowers have been a hit. Since the flamethrowers became available for pre-order, Musk has been posting updates via his Twitter account. In just the first three hours of being available, 1,000 units were sold. As of this morning, 7,000 units have been sold and it likely won’t be long until Musk sells all 20,000 units. While Musk has been made famous through his innovations in tech, there is no denying that he’s a decent marketer as well, and the flamethrower has been an incredible marketing point for The Boring Company. It may even be featured in the upcoming installment of the Borderlands series. On Twitter, Musk joked about a sentient flamethrower that comes with free blockchain and uses the safe word “cryptocurrency.” In response, Gearbox Software CEO Randy Pitchford Tweeted at Musk asking if the studio could use the flamethrower in their upcoming game. While it may actually be a joke, it would be cool to see a sentient Boring Company flamethrower in the next Borderlands. 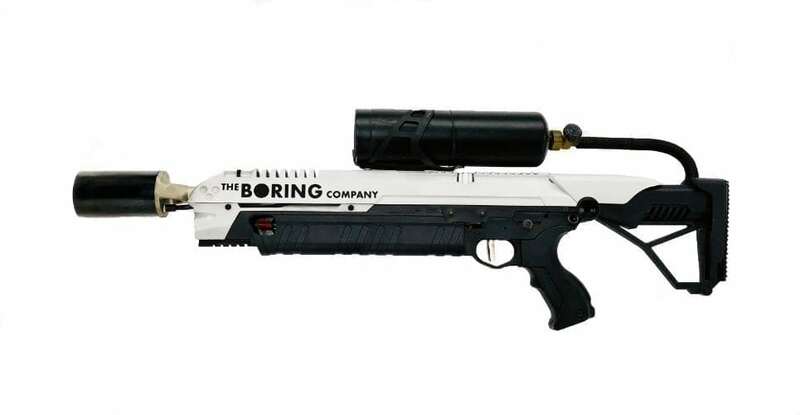 For now, if you’re thinking of buying yourself a Boring Company flamethrower, they currently cost $500 without shipping and are selling very quickly. If you’re unsure about what you would do with a flamethrower, Musk claims that they are great for roasting nuts and may soon demonstrate how one could perfectly finish a creme brûlée. Of course, Musk does warn that “a flamethrower is a super terrible idea.” Well that is, “unless you like fun,” as he puts it. However, it is mildly concerning that easy-access flamethrowers are available in the same world where people eat Tide Pods.